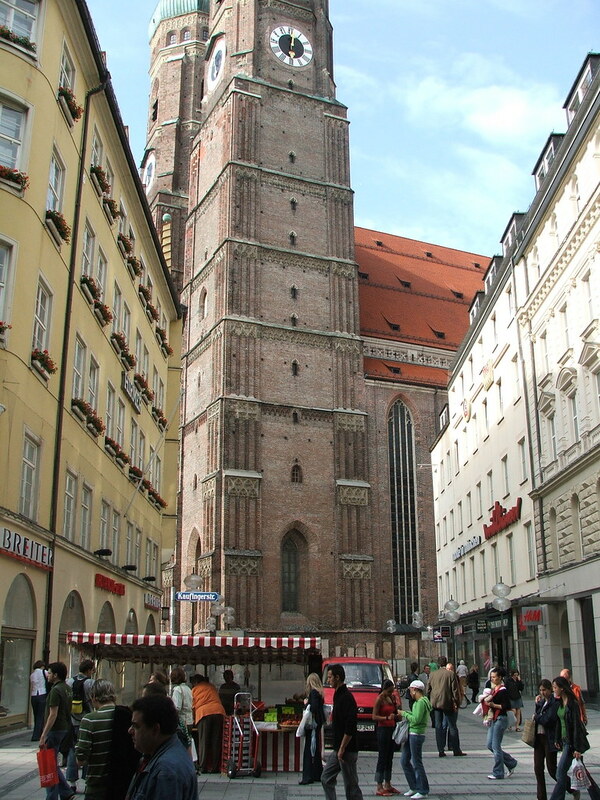 Kaufingerstrasse (and its adjoining Neuhauser Strasse) is one of the oldest streets in Munich. Today, it is Munich's busiest shopping street (and Germany's second busiest), visited by almost every tourist whether they want to go shopping or not. 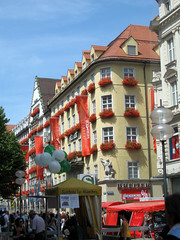 The street itself runs from Marienplatz (generally known as the center of Munich) to Karlsplatz Stachus. Many of the big name German and international brands have shops here including Karstadt, H&M, C&A and Galeria Kaufhof. 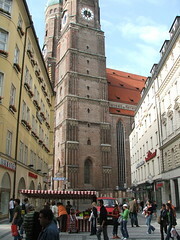 One of Munich's most famous beer halls, the Augustiner Bierkeller, is also located on this street. 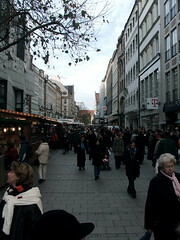 Kaufingerstrasse can be reached easily on public transport anywhere from Munich. 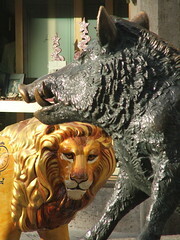 On the south end of the street is the main hub station Marienplatz, and at the north end is Karlsplatz-Stachus. A fun, busy, lively street in a great city. Enjoyed watching people and buildings. Have you already visited the Kaufingerstrasse? If so, let everyone know what you thought about it by writing a review! No registration necessary. Just click here to start writing!